Buyer (And Seller) Beware. Is housing set to blow, or are there more gains ahead? Here's how to navigate an anxious market. Confused about the direction of the housing market? It's no wonder. You hear stories about sellers slashing listing prices to attract buyers, but home prices nationally have risen more than 10% over the past year. Inventories of unsold homes are on the rise, yet homebuilder Lennar Corp. just reported a 34% jump in earnings. And the much feared rise in 30-year mortgage rates seems to have stalled. Click here to read more. For Sale Signs Rise, Home Sellers Cut Prices as Fed Tightens. Sales of new homes fell 10.5 percent in February, the biggest drop since 1995, and sales of existing homes slipped in five of the last six months, leaving a record 3 million unsold houses on the market. Sales will fall further this year and price gains will slow, predicts the Washington-based National Association of Realtors. High-end properties and markets that had the biggest increases during the boom are cooling the most. Entry-level buyers are still strong, while buyers looking to step up to bigger houses are becoming more cautious. Click here to read more. Boom-market casualties. Cost skyrockets for moving people out of a life on the streets. Sky-high real estate prices are making things hard for more than just first-time home buyers -- they're hampering efforts by groups seeking to house the long-term homeless. Social service officials throughout the Inland area and California are trying to comply with federal and state mandates to provide subsidized apartments or houses for the chronically homeless -- those who have been on the streets for a year or more or suffer from disabling conditions such as mental illness and substance abuse. But record-high property prices and competition from commercial developers are making that difficult even for nonprofit organizations that have millions in government funding to spend. Inland land costs average $125,000 per acre, according to Steve Johnson, director of Metro Study in Riverside, a consulting firm. New home prices are rising at an annual rate of 28 percent in San Bernardino County and 10 percent in Riverside County, according to DataQuick Information Systems, a company that tracks housing trends. Apartment rents are expected to rise another 5 percent this year. Click here to read more. Report: Inland Empire rents to rise. Apartment rents, already high in the Southland, will even get higher. Occupancy rates, already among the highest in the country, will increase, too. That's the conclusion of the Casden Real Estate Economics Forecast that's out today from the Lusk Center for Real Estate at USC. There are too many people and not enough apartments, so prices will continue rising. In the Inland Empire in particular, rents are expected to rise by an average of 5 percent this year on the heels of a 4.7 percent hike in 2005. Blame it on the overheated housing market, said Delores Conway, director of the Casden Forecast. Click here to read more. Inland Empire serves as bright spot in report. The six major Southern California counties have more manufacturing jobs than any other state in the nation, according to a report released Wednesday. Riverside, San Bernardino and Ventura counties will add 500 jobs this year, Kyser said. Los Angeles, Orange and San Diego counties are expected to lose 6,500 manufacturing jobs this year, he said. Cheaper land and the ability to accommodate expanding manufacturing companies has allowed Riverside and San Bernardino counties to add manufacturing jobs, Kyser said. Click here to read more. Target will soon open its first California Super Target in Moreno Valley. In addition, two of the nation's most popular stores may open new outlets in Ontario. The city is considering a proposal for a 250,000-square-foot shopping center on Fourth Street near Milliken Avenue that would be anchored by both a Target and a Best Buy store. Ontario's recent history with big-box retailers such as Target and Best Buy is less than stellar. Fry's Electronics was poised to build a store on a 19-acre site in the city in 2004, but the deal fell apart when the city wanted architectural changes to the proposed building that the store didn't want to pay for. Also, a proposal to bring a Wal-Mart Supercenter to a site on Mountain Avenue (once occupied by another Target store) has run into entrenched community opposition. Click here to read more. Spring home buying season -- old rules, new tools. Here's how to put yourself in the best position as you start eyeing homes. It's that time of year again: After the long, cold winter, when shopping for new homes grinds nearly to a halt, the warm weather brings people out and into real estate offices. But this year, shoppers face a changed environment. In January 2005, only 382,000 homes were sold, according to the National Association of Realtors (NAR). By contrast, the peak sales month, June, saw 753,000 homes change hands, with much of the shopping coming in the two months prior. Now, many markets have cooled, giving more leverage to buyers. Still, it's more important than ever for shoppers to pay attention to fundamentals, and at the same time, there are new tools available to help. 1) Get pre-approved for your loan. 2) Determine how much you can afford. 3) Don't get caught up in a bidding war. 4) Check out the home thoroughly before going to contract. 5) Pick your sales agent carefully. California real estate slowdown will drag economy. UCLA forecast also projects national economic lull. A slowing real estate market in California will hurt the state's economy, according to the University of California, Los Angeles, economic forecast. The UCLA Anderson Forecast, which also reports on national and local expectations, projects that 200,000 jobs will likely be lost in California's construction sector "as residential construction and remodeling slow markedly," according to an announcement today. Click here to read more. O.C. 3rd in nation for millionaires. Research shows county has 113,000 such households, not including homes. Orange County is home to 113,000 households with a net worth of $1 million, ranking third nationally behind Los Angeles and Cook counties, said a report released Tuesday by TNS Financial Services. The Affluent Market Research Program report by TNS, a British financial-research firm, estimated the total number of millionaires jumped to 8.9 million nationwide in 2005, an 8 percent increase over 2004. The number of millionaires increased for the third consecutive year in the study, which is based on a national survey of 1,800 households with a net worth of $500,000 or more, excluding their homes. TNS reported that the number of Orange County millionaires was 80,200 in 2003 and 107,028 in 2004. Click here to read more. Contact AREAA Representative: Daliah Acosta at (858)342-0001 if you are interested in this course. I know I would love to take it! Click here to read more. Selling a Home: Should you have an Open House? The National Association of Realtors polled agents and found that open houses led to only 7 percent of all home sales. Referrals were sited as the biggest sales factor at 29% of all sales. In a 2005 profile of Home Buyers and Sellers, also conducted by the NAR, 42% of home buyers found open houses to be "Very Useful" as an information source and 55% said they used open houses as an information source in their search but of the nine categories in the chart showing where buyers first learned about the home they purchased, open houses were not even listed. Click here to read more. Top 10 millionaire counties. The number of millionaires rose to a record level in 2005, and more than 1.1 million of them can be found in just 10 counties. The number of American millionaires rose to a record level last year, and they're disproportionately located in four counties in California, according to an analysis released Tuesday. Other states with counties that boast the highest number of millionaires across the country are Illinois, Arizona, Texas, New York, Florida and Massachusetts. The firm's survey found that the millionaire households had an average net worth, excluding principal residence, of nearly $2.2 million, of which more than $1.4 million was in liquid, or investable, assets. Their overall debt levels, meanwhile, fell by 8 percent, from $179,000 to $165,000. Who's heading these households? TNS found the median age of the head of millionaire households is 58, and 45 percent are retired. Roughly 19 percent own in whole or part a professional practice or privately held business. Over 50 percent of the millionaires surveyed said they had become more conservative in their investment approach over the past year. Their wealth is the result of long-term wealth accumulation. Although real estate is not their sole source of wealth, it remains a staple for many. Forty-six percent of those surveyed own investment real estate like a second home or rental properties. Seventy percent of the households, meanwhile, owned stocks and bonds, and 68 percent owned mutual funds. Click here to read more. Foreclosure Fraud Finds a Home. The crime that preys on strapped mortgage holders is on the rise in the Southland and elsewhere. Foreclosure fraud is a relatively simple crime. Once a property owner misses two or three monthly payments, a lender routinely files a notice of default with the county recorder's office. That public document is a precursor to formal foreclosure, and all a scam artist has to do to find victims is read the notices, descend on the homeowners and trick them into signing over title to their homes. It is a crime that consumer advocates fear could become increasingly common — especially in Southern California, where many homeowners have stretched themselves to their financial limits to afford the region's record high housing prices. Click here to read more. REAL ESTATE: Realty Q&A. Private mortgage insurance and insurance risk scoring. PMI stands for private mortgage insurance, which is provided by private insurance carriers. The FHA, or Federal Housing Administration, is Uncle Sam's version of a private insurer. It insures loans, typically the ones the private guys don't want to cover, made by private lenders. In both cases, the premiums are paid by borrowers, but the insurance protects lenders in case borrowers default on their payments. For any condo loan and the few rehabilitation mortgages that were made during the time the mortgage insurance premium was not collected upfront at closing -- pre-2006 -- you pay a monthly premium for the life of the loan. Realize, however, that the premium declines as the mortgage amortizes. That is, the amount you pay for FHA insurance is reduced each year as the balance on the mortgage declines. But yes, since you will continue to pay and pay and pay some more, it may be a good idea to pay the loan off sooner rather than later, or to dump the loan altogether and replace it with another one with perhaps a lower rate and no mortgage insurance at all. Click here to read more. NAR Asks Home Owners: If You Sell It, Will Buyers Come? Home owners who try to sell their home without professional help must overcome a number of hurdles. As mentioned in the TV spots, the obstacles include making the appropriate disclosures, preparing the home for sale, pricing the home appropriately for a dynamic market and, most importantly, attracting qualified, motivated buyers. According to the 2005 NAR Profile of Home Buyers and Sellers, only 17 percent of do-it-yourself home sellers used the Internet to market their home; that's at a time when Internet use in home searches has risen dramatically - in 2005, 77 percent of all home buyers used the Internet to look for a home. Finding an interested buyer is only the first step toward a successful sale. The typical home sale today involves more than 20 steps after the initial contract is accepted to complete the transaction. Consumers can learn more about potential post- contract pitfalls by visiting "http://www.realtor.org/realtororg.nsf/pages/post_contract _pitfalls". Most home sellers in today's market recognize the hazards inherent in do-it-yourself home selling, and rely on the expertise of a real estate professional to assist them when they sell their home. The percentage of owners who sell without representation has been trending down and is now at a record low - according to the 2005 profile, only 13 percent of recent home sellers sold their home without professional help, and only half of those would do it again. Click here to read more. How Buyers and Sellers Can Take Advantage of a Real Estate Market With High Sales and High Inventory. Prices have leveled off somewhat and inventory is abundant. The best time to buy is now, because negotiation is acceptable and deals can be found - this was unheard of last year! You can sell now if you like, but real estate is a long-term investment, it's not an equity product. Keep that in mind. Holding it long-term is the best strategy, unless you have some sort of Trump-like designs on it, and plan on re-development of a property or developing new. In that case, it is best to hold it short-term and sell quickly for a profit. Otherwise, buy, rent it out, and sell it later for a profit. Click here to read more. The bid whisperers. It's no secret. Under a new rule, Realtors must tell their clients that their offers might be leaked to other buyers. Effective Jan. 1 of this year, buyers' agents in all member states, including California, are required to inform clients that their offers might not be kept confidential. Although many home buyers may not realize it, the terms of the offers they make may be revealed to other clients in a practice that the real estate industry commonly refers to as "shopping offers." And although many Realtors purport to find the practice distasteful or even unethical, others point out that negotiation styles and markets differ. Click here to read more. What people are saying about Palm Springs? Canada's National Post earlier this month proclaimed, "Twentynine Palms may be the next Palm Springs," citing 360 days of sunshine, a booming real estate market with values that have shot up an average of 105 percent and a location that makes it too far for LA commuters but close enough for easy weekend getaways to the coast. Click here to read more. REALTY MAILBAG: Paint the house inside and out and sell it `as is' When a home is sold ''as is,'' that means the seller must disclose all known defects (such as a leaking roof) but the seller won't pay for any repairs. However, if an obvious defect can be repaired at minimal expense, such as a dripping faucet, get it fixed. After the house is painted and ready to sell, I suggest you interview at least two more realty agents. You need to compare their evaluations, especially their CMAs (comparative market analysis). These forms will show you recent sales prices of comparable nearby homes, asking prices of neighborhood homes currently listed for sale (your competition), and even the asking prices of recently expired similar home listings. Then you can correctly set your asking price. Click here to read more. New shopping center in Palm Springs may break ground by summer. A major national arts and crafts retailer will soon be located at an 18-acre destination shopping center that could break ground in about three months at the corner of Barona Road and East Palm Canyon Drive. Click here to read more. Consumer Action: Buying in a Cooling Market. BUYING A HOME IS always nerve-wracking. After all, it's the largest purchase most folks will ever make. But it becomes downright ulcer-inducing when water cooler talk shifts from skyrocketing home values to grim speculations about real estate bubbles. It doesn't help matters that home sales numbers are as moody as a celebrity marriage. According to data released by the Commerce Department Friday, sales of new single-family homes fell 10.5% to a seasonally adjusted annual rate of 1.08 million since January. At the same time, a report on existing home sales data for February released a day earlier by the National Association of Realtors (NAR) showed a 5.2% increase in sales over January. So is the market cooling, or is it picking back up? According to experts, it's moving from a full-on boil to a simmer. Click here to read more. Bubble, schmubble: Market still hot, hot, hot in desert. Houses, however, are vastly different. Not only are they physically anchored to a particular piece of ground, but they come in different sizes, designs, amenities, heights, shapes and are built from a variety of materials. Houses really can't be bought and sold in seconds. The typical transaction is more like weeks to months to get in and out of an escrow. You also can have input into how the houses around yours are maintained and used. That just simply doesn't happen with stock investments in companies run by others - unless of course, you control most of the stock. For statistical and comparable reasons, we often lump many small housing markets together and call those larger regional or statewide pieces a housing market. Nationally, we add everything together and call is a national housing market. But in truth, those are really just smaller individual sectors acting independently. Markets do ebb and flow; and sometimes that ebb and flow can look a lot more like a flood. Housing values and sales activity cycles - just like any business. If they didn't, we would not call them business "cycles" - we would call them business "flats." Click here to read more. The Land of the Open House: Merced, once the state's hottest housing market, is headed back to being, well, Merced again. Last year, this Central Valley city enjoyed the state's hottest real estate market. After five increasingly wild years, the great real estate boom appears to be coming to a close. The Commerce Department reported Friday that sales of new homes nationwide plunged 10.5% in February, about five times the drop analysts predicted. In places such as Los Angeles, which have diverse economies, the consequences could be mild. In other communities, where prices became untethered from reality long ago and real estate not only drove the economy but virtually became the economy, the fallout could be much more turbulent. Merced — a farming town once known, if known at all, as a place campers turned off California 99 on their way to Yosemite National Park — is falling into the latter category. The good times have already ended here, in the same way slamming into a wall reduces your speed. A house will fetch 20% less today than it did last summer, brokers say, assuming it finds a buyer at all. Just a little while ago, Merced was an investor's dream. The Office of Federal Housing Enterprise Oversight reported this month that prices in the city and surrounding area increased 31% in 2005. The housing agency ranked Merced first in price appreciation in California and ninth in the nation. Click here to read more. New-Home Sales Rise in Region: While the U.S. posts a 10.5% month-to-month fall, Southern California records a 9.5% gain. The latest evidence came Friday when the Commerce Department reported that the number of new single-family homes sold nationwide fell 10.5% last month from the month before, to an annual rate of 1.08 million units, marking the biggest drop in new-home sales in nearly nine years. The drop pushed a gauge of the volume of unsold new homes to its highest level in more than a decade. In February, 548,000 new homes went unsold, representing a 6.3-month supply — meaning it would take that long to sell them at current sales rates. In January, there was a 5.3-month supply. In the West, which includes California, the sales plunge was even worse: down 29.4%, partly reflecting stalling sales in Sacramento and the Central Valley and in other Western states such as Arizona. Yet in Southern California, sales of new single-family houses and condominiums saw their strongest February since 1988, according to statistics compiled by real estate research firm DataQuick Information Systems. Last month, sales rose 9.5% to 4,980 from January's 4,550, and were up 19% from the year before. Click here to read more. California Realtors report bigger inventories, slower sales in February. There were more homes on the market than a year ago and it took longer to sell them in California in February, the state's Realtor Group said on Thursday. The California Association of Realtors said its unsold inventory index, which measures how many months it would take to sell the inventory of existing single-family homes, rose to 6.7 months in February from 6 months in January. The median number of days it took to sell a home increased to 52 days from 48 days in the first two months of the year, compared to 40 days in February 2005. Despite that, CAR also said that while the number of sales declined again in February, the pace of that drop slowed. The year-to-year drop in sales slowed to 15.5 percent in February, compared to a 24.1 percent decrease reported in January. The year-to-year increase in median price remained relatively steady, up 13.7 percent at $470,920. Click here to read more. The Pro Shop. Investing for Dummies. Despite the title, "Investing for Dummies" isn't just for folks who think stuffing bills into a mattress is the best way to accumulate wealth. A primer for novices at its heart, it also gets meaty in parts. More complex subjects such as real-estate financing, understanding a company's annual report and buying into a small business are covered. The book is also meant to help fill gaps in the knowledge of more experienced investors — especially those who've realized they don't know as much as they thought they did. The common denominator: Novice and expert alike are looking for smart ways to build wealth. Click here to read more. A Rich Market for Decadent Digs. Wealthy buyers are snapping up trophy homes at a record pace -- and now, they're looking beyond the sunny states. Coldwell Banker CEO Jim Gillespie notes this same trend of getting "the whole package." He recently told BusinessWeek Online that while "warm weather and the water remain primary draws…golf and ski resorts, cultural centers, shopping destinations, and other areas are seeing an influx of luxury homes." The gold rush is apparently sweeping not only California and perennial hot spot Florida, but Massachusetts, New Jersey, Illinois, Connecticut, Arizona, and New York as well. Each of these states racked up more than $1 billion in sales for Coldwell Banker luxury homes last year. In fact, Coldwell reported record luxury-home sales in the U.S., surging up to $55.9 billion in 2005 -- a 24% increase from the $45.2 billion record set in 2004. However, some say that appreciation of luxury houses in the $1 million to $2.5 million range will be flat in 2006, and may even decline in years to come. Baby-boomers may opt to downsize to a condominium or to age-restricted housing in 2006. Some may see the equities in their retirement funds and 401(k) plans erode, while others may devote more of their assets to a retirement home. Click here to read more. Beaumont tops Pass districts in performance index. SCHOOLS: Yucaipa- Calimesa straddles the midpoint, while Banning looks for better results. Beaumont schools generally ranked in the upper half statewide in academic-performance rankings released Tuesday, with Yucaipa-Calimesa schools posting mixed results and Banning schools mostly populating the lower half. Every Beaumont comprehensive school except San Gorgonio Middle School ranked in the upper half statewide and among similar schools, the rankings showed. Yucaipa-Calimesa had schools ranked as high as 10 and as low as 3, while Banning's elementary schools far outpaced its middle and high schools. Beaumont's Chavez Elementary earned an 8 statewide and a 10 among similar schools, tying it with Yucaipa's Ninth Grade Campus for the highest combined ranking among Pass-area schools. "My reaction was 'Wow,' " Brenda Erby, Chavez's principal, said of her school's ranking. "It's always exciting to be commended on those efforts." While she didn't expect her school to rank so high, Erby said the school's staff has been "laser-focused" on tracking students' progress. Among comprehensive high schools, Beaumont High led the way with a 6 statewide and a 7 among similar schools. Beaumont High School parent Yvonne Morales said while the school still has room for improvement, she is pleased to see her son's school excel and commends its student-assistance resources. Click here to read more. California State's Air Is Among Nation's Most Toxic. "Only New York has a higher risk of cancer caused by airborne chemicals, the EPA says. In the Los Angeles area, the cancer threat is much higher, 93 per million in Los Angeles County — or one person in every 10,700 — and 79 per million in Orange County. The national average is 41.5 per million: one in every 24,000 Americans. Riverside and San Bernardino counties are near the U.S. average." Well, what can I say? 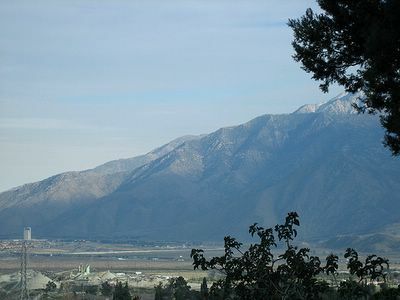 The air is just better over here in the Inland Empire! Click here to read more. foreclosure rate of one new foreclosure for every 986 U.S. households. "This is the third straight month the U.S. foreclosure rate has moved higher, and it's the second straight month new foreclosures have topped 100,000," said James J. Saccacio, chief executive officer of RealtyTrac. "However, several states, including California, Florida, Texas and New York, reported a dip in foreclosures in February. We'll see if the rest of the country follows that trend in March." Click here to read more. Barriers to Realty. As licensed real estate agents continue to flood into California's shaky housing market, industry experts and Realtors have questioned how standards can be maintained within the realty profession. A new bill, sponsored by the California Association of Realtors, aims to address some of the industry's concerns by forcing potential professionals to complete their required education before getting their license to buy and sell real estate -- instead of being issued a license before they've finished their classes, as is the current practice. Click here to read more. Silicon Valley's Tech Revival Spurs Fever for Cashing in Options. For the first time in years, many Silicon Valley technology executives are seeing their stock options move into profitable territory, and they are cashing in at levels not seen since the end of the tech-stock boom in 2000. That's helping restore, for a while at least, a once-major source of wealth for the local economy and California's coffers. In just the past two years, Yahoo Inc. CEO Terry Semel has cashed in about $400 million in stock options. Incomes overall are up in the area. Multimillion-dollar homes are changing hands at a faster clip, real-estate agents say. And people are pouring more money into home remodeling. Click here to read more. Gains in school rankings an 'A' for sales. HOMES: For both real-estate agents and developers, API results are often a selling point. The winners and losers of the Academic Performance Index released Tuesday include not only students, teachers and principals, but home builders, real-estate agents and private home sellers looking for buyers willing to pay a premium to live near a superior school. "I think you will find the test scores from high schools down to the elementary level are the most significant driver of real-estate values," said Steve Johnson, a director of Metro Study, a Riverside-based real-estate consulting firm. "I always thought if Californians ever figured out how significant a role schools play in the value of their real estate, they would get more involved in and supportive of schools, whether they have children in the local schools or not," he added. The Academic Performance Index, which rank schools statewide and among others with similar characteristics, can also influence home builders choosing locations for new subdivisions. "Before we buy land, we spend time looking at API scores," said Scott Laurie, president of KB Home Inland division. "We even have strategic maps where we have laid out the API scores by school district and down to each specific school." School administrators say they are aware of the impact of students' test scores on real-estate values. Click here to read more. Google Base -- the next MLS? Real estate listings now searchable via Google. Google Base, a Web site where property listings and other information can be uploaded and displayed online for free, can now be searched via Google, giving rise to visions of the service as a possible "new MLS." It has always been possible to search Google Base itself, but consumers can now input phrases such as "Miami real estate" into Google's main search box and the results will show listings from Google Base. While countless Web sites now exist enabling consumers to search MLS property listings online, those sites often extract personal information from the searchers to be used as leads. Google Base, which launched in November, does not require such information. The product works somewhat similarly to craigslist, making it possible to quickly and easily create a free posting that will appear online and can be located by searching specific terms, such as "real estate for sale." Now, it's possible to find Google Base listings via Google itself. "This looks like Realtor.com Lite," opined Vince Malta, president of the California Association of Realtors. "It's an advertising vehicle, just as Realtor.com is; people can go there and access properties up on the MLS, just as they can on Realtor.com. But it is only some listings and some agents, not a complete list." Click here to read more. I have been feeling under the weather these past few days. I haven't been able to blog or write... much less sit up and read about anything. But I'm feeling much better tonight. Thank you everyone, for your concern! If you called me this weekend, I will be checking my voice messages and getting back to everyone on Monday. As you all know by now, Sunday is my favorite day to consolidate the news articles that I read to share with everyone. Married or single, you've got to pay the tax. Adding your name to the residence title owned by your fiance, or vice versa, won't change anything. To increase the tax exemption from $250,000 for a single owner to $500,000 for a married couple filing a joint tax return, both spouses must occupy the home at least 24 of the 60 months before its sale. You can each sell your principal residences in the same tax year and claim up to $250,000 tax-free home sale profit on each sale, thanks to Internal Revenue Code 121. That's presuming you each owned and occupied your home at least 24 of the 60 months before its sale. But you will owe capital gains tax, currently at the 15 percent maximum federal tax rate on the capital gain exceeding $250,000. Click here to read more. Ten Signs Of A Real Estate Apocalypse. If California slid into the sea, would it take the U.S. housing market with it? After a few years of real estate boom, which spread dramatically higher prices to many (though not all) parts of the U.S., the market has recently seemed to change course. On Thursday, the U.S. Census Bureau reported that housing starts were down 7.9% from January to February and had declined 4.8% from February 2005, indicating less demand for new construction. That came three days after the National Association of Realtors predicted that this year would bring "a more level playing field for buyers and sellers on the heels of a five-year sellers market." This won't be a crash, but a soft landing for the real estate market, it appears. But that made us wonder: What would it take to make things really go off the rails? Click here to read more. Housing Speculators Relocate to Hotter Spots. Some who scored with L.A.-area property take their profits to Las Vegas and Arizona. Their flight may soften the local market's landing. Southern California's high housing prices have at least one silver lining. They have kept speculators like Jay McKee from driving prices even higher — and from making them more likely to tumble. The former technology worker from Manhattan Beach was among thousands who caught the real estate investment bug during the housing boom. He bought an ocean-view condominium in neighboring Hermosa Beach two years ago, spent $30,000 to spruce it up and swiftly resold it for a $250,000 profit. Click here to read more. Los Angeles County sales totals for February. The chart lists median prices in thousands of dollars for sales of existing single-family homes and condominiums by ZIP Code. Community names are included for convenience. Some ZIP Codes include multiple cities that, due to space limitations, cannot all be listed. Percentage changes are a year-over-year comparison for the reporting month. The price per square foot in the far right column includes only single-family home sales and does not include attached garages. Click here to read more. Southland Home Prices Hit Record High. Southern California's median home price reached a new record last month, but sales continued to slow as the region's housing market continued its shift from red hot to lukewarm, data released today showed. The median price of all new and existing homes sold in the six-county region in February was $480,000, up from $469,000 in January and about 13% higher than a year ago, research firm DataQuick Information Systems reported. Last month's results eclipsed the previous high of $479,000 reached last December and November. On a county by county basis, San Bernardino County posted the largest price gain, with the February median sales price jumping 27.7% from the same month last year to $373,000. Ventura County followed with an 18.6% increase to $618,000; Los Angeles County posted an increase of 15.6% to $490,000; the median in Orange County increased 11.2% to $617,000; Riverside County experienced a gain of 10.2% to $410,000; and the San Diego County median grew 6.4% to $502,000. Click here to read more. Real estate mogul turns to mortgage. Trump launches mortgage brokerage company. If Donald Trump launched a mortgage venture, you would expect it to be named Trump Mortgage. He did…and it is. Trump Mortgage LLC, based in the Trump Building at 40 Wall St. in New York, offers residential mortgages, commercial mortgages and home equity loans. The company also targets luxury mortgages for high-end residential and commercial real estate. According to its Web site, at TrumpMortgage.com, the company is a registered mortgage broker in New York, California, Florida, New Hampshire and Connecticut, and is also licensed in Alaska and Colorado. There are registrations pending in Delaware, Massachusetts and New Jersey, with "future registration as mortgage broker in all other states in process." Trump Mortgage arranges mortgage loans with third-party providers. Click here to read more. Director: Home prices to go up. Prices will continue to increase for homes in California even as the housing market slows down a little, said the executive director of a real estate research group based at Cal Poly Pomona on Wednesday. Home sales started to slow in the fourth quarter but the home market should continue to be strong for the rest of the year, said Michael Carney, executive director for the Real Estate Research Council of Southern California. "I think prices are going to keep rising through 2006," Carney said. Click here to read more. Wednesday, March 15th, 2006: Real Estate News and More! Reports on Fed banks' economic conditions. SAN FRANCISCO: Retail sales grew and tourism activity was vigorous. Manufacturers reported generally solid demand. Residential real-estate activity generally remained at high levels but slowed in some areas. Signs of significant cooling were reported in some previously hot markets in Hawaii, Arizona and California. Commercial real-estate activity improved. Click here to read more. The frenzy is behind us. The median price of an Orange County home rebounded to $617,000 in February, but sales continued to be sluggish, DataQuick reported Tuesday. Five of the six Southern California counties tracked by DataQuick saw home sales drop from year-ago levels. Riverside, where sales increased 4.8 percent, was the exception. Regionwide, prices were up an average of 12.9 percent from a year ago. Prices were up 27.7 percent in San Bernardino County, 18.6 percent in Ventura County, 15.6 percent in Los Angeles County and 10.2 percent in Riverside County, the real estate market tracker reported. In San Diego County, considered to be the leading edge of the Southern California market, the median home price was up 6.4 percent from a year earlier. Click here to read more. Region's homes staying on the market longer. The number of new and existing homes sold in San Bernardino County decreased 5.4 percent last month, according to DataQuick Information Systems. But prices skyrocketed 27.7 percent from a year earlier as the median climbed to a record $373,000. San Bernardino County was the only housing market in Southern California to see its housing prices pulled into record territory last month, said John Karevoll, a DataQuick analyst. The number of housing units sold throughout Southern California was down 7 percent from February 2005, Karevoll said. Click here to read more. Next-generation real estate innovators eye transparency. Part 1: New wave of Web innovators lands in real estate. A new wave of online real estate innovators is gathering force, offering consumers more interactive and comprehensive online home searches and more transparency in property data and transactions. In this three-part report, we explore how newcomers like Zillow, Trulia, HomeThinking, PropertyShark, Redfin and others are bringing a new focus to the online consumer. Click here to read more. Real estate foreclosures on the rise. Western states post 'rapid increase'. The number of new foreclosed residential properties available for sale nationwide increased 9 percent from February 2005 to February 2006, according to data released today by Foreclosure.com, while the total number of foreclosed properties available for sale dropped 7 percent from January 2006 to February 2006. February marks the second consecutive month of declining new foreclosures in the United States, Foreclosure.com reported. About 88,093 foreclosed residential properties were available for sale in the United States in February. There were 21,402 new foreclosures listed for sale in February, a 10.8 percent drop from the prior month. Click here to read more. Southland Home Prices Hit Record High. Southern California's median home price reached a new record last month, but sales continued to slow as the region's housing market continued its shift from red hot to lukewarm, data released today showed. The median price of all new and existing homes sold in the six-county region in February was $480,000, up from $469,000 in January and about 13% higher than a year ago, research firm DataQuick Information Systems reported. Last month's results eclipsed the previous high of $479,000 reached last December and November. While last month's year-over-year price increase is high by historical standards, it is relatively modest in light of the huge gains the region has seen in recent years and the lowest annual increase since March 2002 when prices rose 12.7%, according to DataQuick. The number of homes sold last month was the lowest in five years, DataQuick said. A total of 19,905 homes changed hands, 7.0% fewer than a year ago, and 0.9% fewer than in January. Click here to read more. Builders strike a delicate balance. Materials prices have soared due to overseas demand, but the extra cost has been absorbed by the still-strong O.C. real estate market. While the mantra of the real estate market is location, location, location, the chant in the building-materials market might well be globalization, globalization, globalization. In a clear example of how global markets are affecting local lives, mammoth overseas projects like China's Yangtze River Dam are driving up the cost of the Santa Ana (I-5) Freeway widening and other construction in Orange County, people in the industry say. Click here to read more. REAL ESTATE MATTERS: Part 3: Housing Market Flattening, But No Crash; How to Handle ‘Year of the Buyer’. Experts have predicted that the torrid pace of home sales and double-digit price growth would slow this year, and some segments are already experiencing this. In this three-part report we take the housing market's latest pulse to get a feel for what's happening across the country and what real estate executives advise brokers and agents can do to stay on top. Check the HNN archives for parts 1 and 2. In what some have described as "the year of the buyer," as the real estate market continues to slow, real estate brokerages and agents are changing tactics to meet the challenge. Getting tough with sellers and insisting on realistic, lower prices is only one part of the puzzle, according to Gib Souza, president of the Bay East Association of Realtors in the San Francisco Bay Area. Click here to read more. Bill raises standards for real estate agents. A real estate industry-sponsored bill requires new agents to complete three classes before getting their state-issued license. The bill would require would-be agents to complete three classes -- one of them in real estate law -- before taking the test and getting the license. The proposed law has a variety of implementation and sunset dates so that, if enacted, it would affect only those people who would apply for a real estate license after January 2007. Click here to read more. Real Estate Trends by Caroll Yule. Real Estate by the Numbers. "Prices are expected to rise about 5 percent this year despite the cooler market," according to the March 1 USA Today. "The number of homes for sale has risen to a six-month supply, which will translate into a slower rate of price appreciation than we experienced in 2005," said Leslie Appleton-Young, chief economist for the California Association of Realtors. Yes, our Victor Valley housing market has changed and is continuing to change daily, but all indicators indicate growth not recession. Realtors and economists agree — this is the "soft landing," the "market correction" that everyone predicted. The most important words for sellers in our current Victor Valley to remember are supply and pricing. First, let me show you some numbers regarding supply. Here are the total number of listings available in the Victor Valley Association of Realtors Multiple listing service over the last few years: For a complete picture of our supply you need to add 400 to 500 new construction homes available in tracts that are not generally listed in the MLS. Of the 2,764 homes currently listed, 1,244 homes are priced between $300,000 to $400,000. The numbers speak for themselves and our sellers need to listen. Competition means that pricing is critical. Click here to read more. That Zillow 'zestimate' isn't worth losing any zzz's over. By now, chances are you've been to http://www.zillow.com and may have concluded that the "zestimate" of your home's value isn't — make that izn't — worth the time it took to type in its street address. "Insufficient data" was the bleak verdict from BusinessWeek Online of the much-ballyhooed and anticipated website, which purports to tell you how much your home is worth. In a place like Southern California — where it's not uncommon for nightly dinner-table conversation to start with, "How much do you think we could sell for today, honey?" — it would make sense that a website promising to track this vital information without a fee would be popular. And indeed the site — the brainchild of Expedia founder Richard Barton — bolted out of the starting gate even though a number of others, including Realtors and county assessors, have long offered the same basic information on the Web for free. But the zoom and zeal of Zillow-checking has faded faster than the introductory low rate on an adjustable mortgage. Less pleased are some of Zillow's visitors. The problem is that not all of the site's zestimates are based on complete or accurate information. "Zillow is intriguing, fun and free," said Don Kelly, vice president of the Appraisal Institute's public affairs office. "But free advice is often worth what you pay for it." Click here to read more. Offers Made in Writing Are Always Best. Home purchase offers are complicated legal documents that include all the details of the sale--the personal property that's included and excluded, the closing date, the financing arrangement and the inspection conditions, to name a few. Buyers and sellers frequently have a counteroffer dialogue back and forth before they finalize the terms and conditions of their deal. Even though a seller may be negotiating with one buyer, this doesn't preclude him from entertaining offers from other buyers. Until the purchase contract and any counteroffers are accepted in writing by both the buyers and the sellers, the property is still available for sale. Click here to read more. The hammer falls on housing bonanza. Explanations for the recent cooling-off vary. Many people bought homes during the past five years and are staying put. Some analysts blame a decline in consumer confidence. And interest rates have been rising, especially for adjustable mortgages that allowed people to buy more expensive homes than they could have afforded with a 30-year loan. Rising prices and interest rates pushed more buyers out of the market. When prices finally did cool, sellers couldn't command a high enough price on their old house to buy the new one, said Marceau, who believes the slowdown is temporary. Click here to read more. Buyers, Sellers Need To Be Realistic. The spring real estate season is about to get underway, and anybody who expects to take part -- as a seller or a buyer -- needs to start putting together a strategy, an action plan. It seems like a tough time to be a seller. But here's where things get confusing. The latest federal and private-sector statistical reports suggest that price inflation in dozens of metropolitan areas is still chugging along at a double-digit clip. The Office of Federal Housing Enterprise Oversight found average home values rose by nearly 13 percent from the fourth quarter of 2004 through the same period of 2005. The National Association of Realtors found that a record 72 metropolitan areas saw double-digit annual increases in median resale home prices in the final quarter of 2005. Yet these markets are simultaneously experiencing rising inventories, slower sales and reports of asking-price reductions. How can all of this be going on at the same time? If markets are cooling -- and just about everybody agrees that's the case -- then why isn't that being reflected in prices, nationally and locally? Click here to read more. Best And Worst Neighborhoods To Buy A Home. The south Los Angeles neighborhood of Watts has been notorious for many things, among them race riots, poverty and gang warfare. Now it can be known as a great real estate investment. Over the past few years, rising property prices have rocked the state of California with an earthquake-like vengeance. Luxury subdivisions have filled hillsides, bidding wars have pumped up home sales, and teardowns have sold for more than $1 million. Los Angeles saw home prices increase about 50% from 2003 to 2005, according to the National Association of Realtors, a trade group based in Washington, D.C. The median sales price for an existing home in L.A. stood at $529,000 at the end of last year. Click here to read more. Point2 Technologies Syndicates Real Estate Listing Data to Google Base, Others. Point2 Technologies Inc. announced that real-time data feeds from the company’s online real estate marketplace, Point2Homes.com, to property search Web sites Google Base and Trulia are now active. Additional feeds to LiveDeal and PropSmart are expected to go live later this month. The feeds are part of a broad data syndication initiative Point2 introduced last February and that aims to capitalize on consumer traffic on innovative online real estate listing venues, to further increase traffic and sales lead flow to Point2 Agent member websites. Click here to read more. More Americans are losing their homes. Risky borrowing is catching up with a number of homeowners across the U.S. Foreclosures rose 45% in January compared to a year ago, and experts only expect the pace to accelerate. The number of foreclosures is still low on a historical basis, but it has been rising steadily over the past year, RealtyTrac reported. Job losses in some regions were to blame, but so, too, were risky borrowing practices that left homeowners little wiggle room on their mortgage payments. And with the pace of appreciation stalling and interest rates rising, many economists and industry observers expect the pace of foreclosures to accelerate this year. Click here to read more. Zillow enters crowded space. Part 1: Assessing accurate home values. Since its recent launch, the real estate industry has been buzzing about a new Web site called Zillow.com. According to Alexa.com, an Amazon Web site that ranks Web traffic, Zillow has rocketed to the top 200 Web sites in the world. That's higher than Realtor.com or any other real estate Web site. If Zillow is successful, Realtors will have to redefine their value proposition. Ever since inception, Multiple Listing Services have provided important sales documentation that was not available to the general public. Zillow provides not only comparable sales data, market statistics that show whether prices in a given area are increasing or decreasing, but it also provides its Zestimate of how much a given property is worth. The market data is particularly useful information for Realtors to know because it can assist them in helping sellers to set accurate list prices. It can also assist buyers in identifying how much they should pay. Where Zillow faces major challenges, however, is providing accurate values for its "Zestimates." Click here to read more. Home loan costs climb. A 30-year mortgage with a fixed rate hits a 2 1/2-year high. Mortgage giant Freddie Mac said Thursday that interest rates for 30-year home loans reached their highest point in 2 1/2 years this week, but Sacramento real estate experts predicted the benchmark would have little effect on home-buyer decisions. Virginia-based Freddie Mac cited inflationary fears in financial markets for pushing loan rates to 6.37 percent, the highest since 6.44 percent during the week of Sept. 5, 2003. Interest rates climbed for both fixed mortgages and for the adjustable-rate mortgages that now dominate new home buys in California. Click here to read more. What Real Estate Bubble? Despite dire predictions ahead, U.S. home prices continue to soar. For all the dire warnings that a pop may well be on its way, 2005 proved to be another record year for the housing market. Home prices rose 13% last year, according to a report released last week by the Office of Federal Housing Enterprise Oversight (OFHEO). What's more, last year's gains cap a five-year run-up in which home prices have soared 58%. Click here to read more. Absentee landowners fight special real estate tax. Proceeds would help police, fire departments. The city council of California City, Calif., proposed a $75-per-parcel property tax to be placed on the ballot. The tax proceeds would be used for fire, police, parks, water and street purposes. The town has more than 50,000 subdivided (mostly vacant) parcels but only 3,800 registered voters. At the election, more than 70 percent of the voters approved the $75-per-parcel special tax. However, non-resident property owner N.L. Neilson sued to challenge the tax vote result because he and most of the other vacant parcel owners could not vote on the tax increase that affected them. He argued the non-residents should have been allowed to vote. If you were the judge, would you rule the 3,800 registered voters could enact a $75-per-parcel tax on 50,000 properties? The judge said yes! Click here to read more. Home builders feel ethnic buyers' impact. Nationally, Hispanics, Asians and African-Americans made up more than one-third of all first-time home buyers in 2003, according to the Joint Center for Housing Studies at Harvard University. Although local statistics are not available, it could very well be higher in Maricopa County, where members of those groups make up about 39 percent of Maricopa County's 3.5 million people. Click here to read more. Unsold home inventory builds. In one of the strongest signs yet that the housing market is cooling, San Diego County's inventory of unsold existing homes is fast approaching 16,000 ---- twice the total one year ago and five times the number in March 2004, a local real estate agent said Tuesday. Click here to read more. Point2 Technologies Syndicates Real Estate Listing Data To Google Base/LiveDeal/PropSmart And Trulia. Point2 Technologies Inc. (“Point2”) today announced that real-time data feeds from the company’s online real estate marketplace, Point2Homes.com, to property search websites Google Base and Trulia are now active. Additional feeds to LiveDeal and PropSmart are expected to go live later this month. The feeds are part of a broad data syndication initiative Point2 introduced last February and that aims to capitalize on consumer traffic on innovative online real estate listing venues, to further increase traffic and sales lead flow to Point2 Agent member websites. Click here to read more. Median prices for existing homes in 2005. Median prices for existing homes rose 13.6 percent during 2005, according to the National Association of Realtors, but trends varied widely among metropolitan areas. The highest median prices were in San Francisco-Oakland and nearby San Jose, Calif., at well over $700,000; and Anaheim-Santa Ana-Irvine, Calif., at $699,800. Honolulu and San Diego also topped $600,000. Click here to read more. 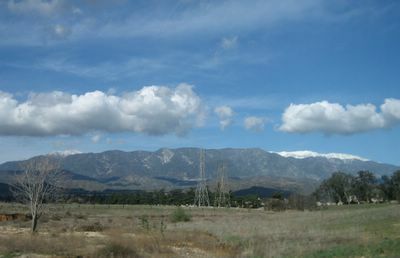 A view of the gorgeous mountains near Morongo casino. The casino is the white rectangular skyscraper building located in the lower left of the picture. The famous Cabazon Premium Outlets are nearby as well. 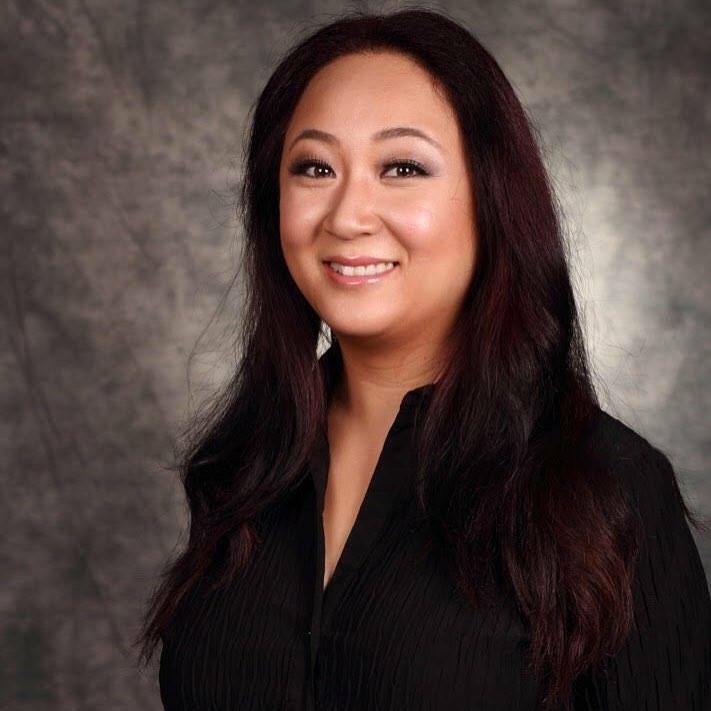 REAL ESTATE CHAT: Introduction to 1031s. A 1031 exchange is also sometimes referred to as a like-kind exchange. A like-kind exchange is the sale of property used in a trade or business, or one that is held as an investment, in exchange for property that is used in a trade or business or one held for investment. The basic, typical 1031 exchange is related to real estate, although it does not have to be. Typically, when someone sells a parcel of real estate, they'll deposit funds with an independent third party known as a qualified intermediary. From there, they have within 45 days have to identify a replacement property, the like-kind property, and 180 days to close on the purchase of that replacement property. One of the best attributes of 1031 exchanges is they provide buyers the ability to defer all income tax on the sale of property, if they buy a new property of equal or greater value. Click here to read more. Hoping for Best in Home Sales, 2 Sides Sit Tight. Many buyers, having heard that the real estate market is a bubble in danger of popping, are refusing to offer the asking price on a house, convinced that it will soon drop. But many sellers are not blinking either, thinking that offers will improve when the weather does and biding their time until then. As a result, the housing market is now in a deeply confusing state, with average prices still rising even though homes are taking much longer to sell and the number on the market has soared. Sometime soon — probably in the spring, the peak sales season — one side or the other will have to capitulate, many economists and industry executives predict. Click here to read more. Coachella Valley real estate market undefinable. 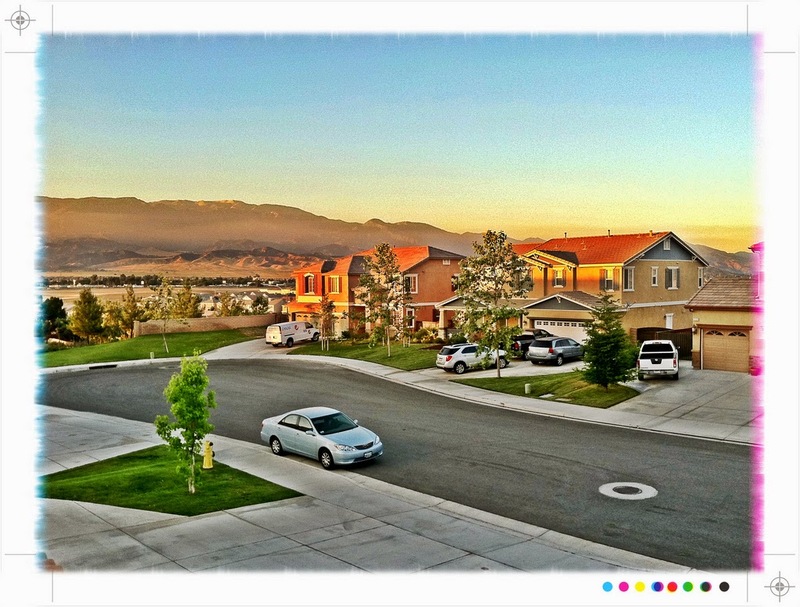 15 facts about valley's housing scene you may not have known. The Coachella Valley real estate market continues to defy attempts to define it in simple, one-dimensional terms. The numbers point to a market with a decidedly split personality. With 2006 now well under way, the valley housing scene is nowhere near the seller's paradise that existed in the early months of 2004. But with a new record median price of $405,000, it's also not a haven for bargain-hunters - except those from places like Monterey and San Diego. Local sales counts have dropped and unsold inventory has soared - now topping 7,000 properties - but homes that do sell are still seeing double-digit appreciation from a year ago. Affordability for local residents is at historic lows - with only 10 percent of households now able to afford the median-priced home based on working income - even as the market continues to attract baby boomers from outside the area seeking retirement and vacation houses. Click here to read more. 2005 was sunny year for county job growth. San Diego County enjoyed robust job growth last year, with more than 28,000 jobs added to an economy already operating near full employment. The county's unemployment rate dropped to 4.1 percent, from 4.6 percent a year ago. Only Orange, Marin and Mono counties have unemployment rates lower than San Diego's. Economists applauded the numbers, released yesterday by the state Employment Development Department, but they cautioned against expecting similar growth in 2006. Almost a third of the new jobs were created in the construction and real estate industries, two sectors that are already weakening. Click here to read more. Declining U.S. Home Market Demands Pricing Savvy. As the U.S. home market continues to resemble a bear entering hibernation, home buyers and sellers will be increasingly tested on their mettle and savvy. Whether you are a buyer or seller, the key is getting the right price, a real challenge in any market. Fortunately, the art of property pricing is becoming more consumer-friendly as the deflating home market grabs headlines. Sales of previously owned homes fell 2.8 percent in January -- the fifth monthly decline in a row and the slowest pace in two years -- according to the Chicago-based National Association of Realtors. New-home sales dropped 5 percent in the same month, the U.S. Commerce Department reported. Another sign of a slowdown is that more than a half-million new homes are sitting unsold, staying on the market about five months, the longest time in a decade, according to the Realtors' group. Builders are increasingly offering incentives such as free kitchen upgrades and swimming pools in some markets, although they are finding fewer takers as mortgage rates rise. Click here to read more. Buyers from Washington, California find the grass is greener here: The neighbors come knocking. If it seems there are a lot of drivers with California and Washington license plates sharing Oregon's roads with the rest of us, there's a reason. While many of them come here each year just to vacation, in the past five years about 168,000 of them - plus the nondriving members of their households - haven't gone home again. Local real estate agents and government officials say Lane County is experiencing noticeable in-migration - especially from California and Washington - with clear effects on the local economy, especially the housing market. Click here to read more. 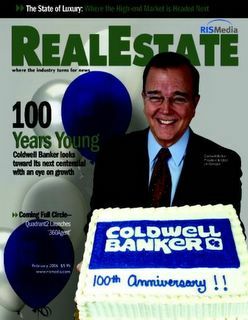 Coldwell Banker is 100 years old this year! Happy Birthday! 10 most overlooked real estate tax breaks. April 15, the date our 2005 income tax returns are due (actually the due date is Monday, April 17, 2006, because April 15 is on a Saturday), is fast approaching. But it's not too late to review the most frequently overlooked real estate tax savings deductions. As I learned a few years ago, it's much easier to correctly claim a real estate tax deduction when filing your original tax return than to later file an amended IRS Form 1040X to claim a forgotten tax deduction. I discovered the IRS hates to part with money so they often scrutinize 1040X refund requests due to additional deductions extremely carefully. Click here to read more. Real Estate & Mortgage Resources. Click here to check out www.realestateabc.com. Today's Real Estate News with RisMedia. Click here to check out www.rismedia.com. For those of you who use Verizon Wireless Mobile Web service, there was a great article about technology's effect on the real estate industry. Go to VZW News, click on Technology, then read the Top Story titled: "Looking for a Home? Start at Your Computer." Snow capped mountain range with open fields below. TRENDS Report: The Internet Has Forever Changed Real Estate. In 2004, blogs unexpectedly vaulted into the forefront of major media, where today there are thought to be approximately 30 million “bloggers” worldwide. Blogging provides yet another tool to help real estate agents maintain an open dialogue with their clients and provide them with valuable information. By posting local current events or financing updates alongside listings, agents can establish themselves as the expert in a specialized area. Click here to read more. Vacation Homes: Profit Castles? When you consider purchasing additional real estate, think beyond the primary-residential market to the possibilities that vacation homes offer. According to investment prognosticator Harry Dent, baby boomers will continue to buy vacation homes into their late 50s and mid-60s. The National Association of Realtors reports that boomers age 55 and up constitute the driving force behind the buying of vacation homes. Smart buyers are heading for hot resort areas -- like Orlando, Phoenix, and Baja California -- and are seeing excellent growth for their investment. Click here to read more. Exotic mortgages unlikely to bring massive defaults, study finds. The potential loan losses from new types of adjustable-rate mortgages issued since 2004 is relatively small, according to a recent study. Defaults on these loans could result in $110 billion in losses nationwide over the next five years, less than 1 percent of the total amount of home loans sold in 2004 and the first three quarters of 2005, said Christopher Cagan, an economist at First American Real Estate Solutions, a division of title insurer First American Corp., which conducted the study. Click here to read more. Free Web sites can maximize real estate marketing. Web marketing is like searching for a needle in a haystack. The more places you have your needles, the more people will find you. Most agents have their listings posted on their local Multiple Listing Service (MLS), their national company site, their local company site, and on their own Web page. There are a number of other great ways to achieve maximum exposure on the Web. Last week's article looked at strategies for search-engine placement on the major search engines as well as Realtor.com. Today's issue looks at sites that will let you post your listings for free. Click here to read more. Real Estate Agents Can Help Troubled Homeowners Avoid Foreclosure. Real estate agents and brokers learn powerful strategies to help a growing number of homeowners with equity-deficient mortgages. Real estate agents are arming themselves with tools that will help them help their clients avoid foreclosure. By enlisting a strategy known as the Short Sale, or equity-deficient transaction, agents and brokers across the nation are studying up on how to negotiate with mortgage lenders when their clients are in over their head. In a traditional listing, Realtors™ help their clients list, market, and sell their home to a buyer. In the case of a short sale transaction, the agent or broker not only lists, markets and sells the home, but the broker also negotiates directly with the bank to settle the mortgage payoff at a discount. Click here to read more. Nationwide Database Of 'Gay Friendly' Real Estate Goes Online. The site, a first of its kind in the United States, is called GayGhettos.com, and will serve the gay, lesbian, bi-sexual, and trans-gendered (GLBT) community. Jeff Hammerberg, President of Gay Real Estate says, "GayGhettos.com is a community based, community built web site which allows the gay and lesbian community access to tell others about their neighborhood and/or search for a gay friendly neighborhood in any city in America." "We are bombarded daily with requests from the GLBT community looking for gay friendly neighborhoods and now a free source is available." According to Gay Real Estate at gayghettos.com a visitor may add their neighborhood to the database or search for the perfect neighborhood from Dallas to Duluth. Click here to read more. Now that the weather has been getting warmer, I can't help but take pictures of the surrounding areas. I'll try to post at least one picture every day for you to enjoy as well! 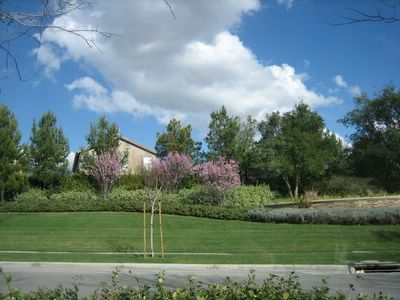 Beautiful landscaping in Beaumont's "Oak Valley Greens." Home Sales Plummet. As the number of existing home sales drops around the nation, San Diego is being hit disproportionately hard. The drop off in the sales rate in America's Finest City was four times the national average in January, a decline experts said was unexpectedly steep. In a press release issued Tuesday, the National Association of Realtors said the seasonally adjusted existing home sales rate in January 2006 was 5.2 percent lower than in January 2005. The seasonally adjusted rate is a method analysts use to calculate the number of sales taking place, and which takes into account the fact that certain months are always slow for real estate. While significant, that figure is tame compared to the statistics for San Diego. Seasonally adjusted existing home sales rates in San Diego County were down 20.2 percent in January 2006 compared to 2005, according to the California Association of Realtors. None of the local experts seem particularly surprised by the drop-off in sales, though. Click here to read more. State home sales plunge. Home sales plummet, but prices still on rise. Home sales tumbled an annual 24 percent across California during January, the biggest drop in more than a decade and further evidence that the latest boom market is past its peak, a trade group said Tuesday. Price gains remained strong in most areas, though, and analysts do not believe the sales decline will trigger a price collapse that followed the sales bust at the end of the late 1980s buying binge. January's sales plunge was the biggest since a 26.7 percent decline in April 1995, said Mark Giberson, a spokesman for the California Association of Realtors. Sales fell from their year-ago levels in 19 of 20 markets the association tracks, including a 23.5 percent decline in Los Angeles County, a 16.3 percent drop in Ventura County, a 19.1 percent slide in the Inland Empire and a 24.2 percent drop in Orange County. The biggest decline, 39.3 percent, came in Monterey County. By comparison, sales across the U.S. fell an annual 5.2 percent in January, according to the National Association of Realtors. Click here to read more.